How bourbon came to be, and why it's experiencing such a revival today. Taking listeners behind the curtain of an enchanting - and sometimes exasperating - industry, the work of writer Reid Mitenbuler crackles with attitude and commentary about taste, choice, and history. Few products better embody the United States, or American business, than bourbon. 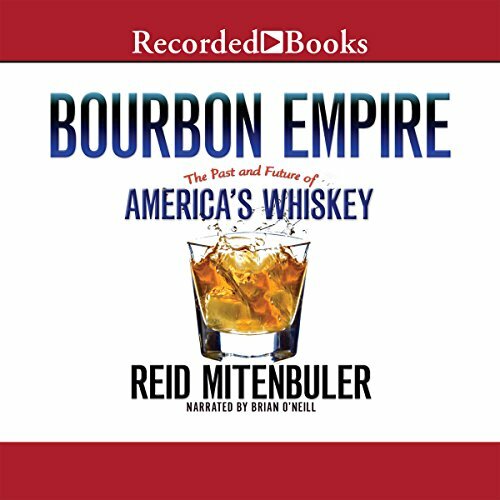 A tale of innovation, success, downfall, and resurrection, Bourbon Empire is an exploration of the spirit in all its unique forms, creating an indelible portrait of both bourbon and the people who make it. The perfect blend of history, technical jargon, and nerd. I really enjoyed it. Great insight into the world of whisky. I have spent the last seven years exploring the Bourbon Trail, meandering country roads at Loretto, and dodging traffic in Louisville to get the "flavor" of bourbon. I would recommend to anyone about to start that journey today, that they read Bourbon Empire first. Kind of like knowing that "first downs are good" for the first time football watcher, this book will give the hints on how to enjoy and indeed anticipate the experience for the first time. Now that I have read the book, I am going to travel The Bourbon Trail again. 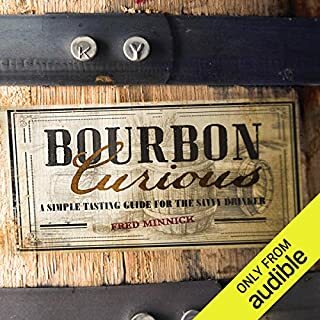 If you have any interest in bourbon, this book will elevate it exponentially. 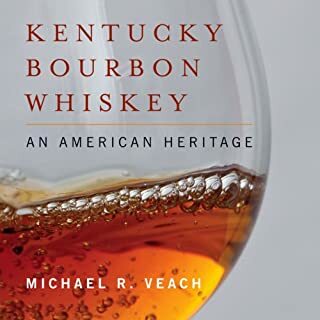 Even if you feel like you know a lot about bourbon and/or distilleries, you will discover more about the rich history and big stories that have created the bourbon we love today. I knew very little about the history of bourbon and other spirits in the U.S. This book captured the essence of the important milestones as the whiskey industry grew and as we grew as a nation. I highly recommend this book to people who love American history and a shot of bourbon. And the narration was phenomenal. 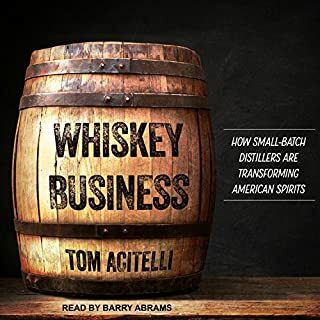 If you want to know the history of American whiskey, and the American alcohol industry in general, this book is about as good as it gets. O'Neill offers a fascinating history of America's drinking habits from the pre-Revolution days to around 2013. This also includes some historical information on figures like Jim Beam as well as some of the early moonshiners. You will never look at a bottle of whiskey the same again. Highly recommended! 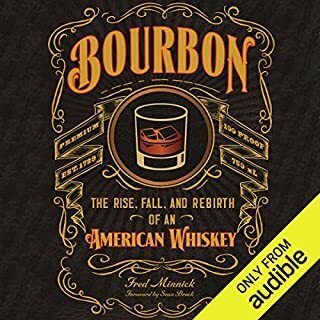 A very interesting and informative book about the Bourbon industry. I learned a great deal about both Bourbon itself and it's often checkered history. My only negative comments would be that it tended to ramble a bit at times and that there was a small amount of repetition. It provided a very useful inside look at the current state of the industry along with a little insight into where it may be heading, with several craft distillers mentioned by name. I'd recommend it to any enthusiast wanting to learn about how the current popularity of whiskey came to be. There were insightful comments regarding most of the major American players in the market (and some of their Japanese owners). I will likely read it again myself to hear some the more interesting points a second time. Finally, I enjoyed (and will remember) the humorous comment comparing the state of Bourbon today with the Bourbon Empire in France. Let's hope we never get to the point where it is said by those in the know, "Let them drink Pappy". A solid 4-4.5 star read. 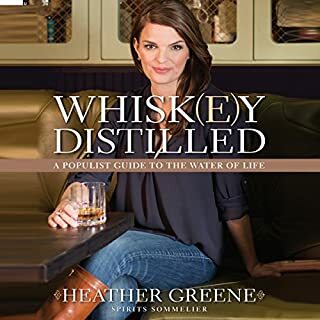 this book simply put it is a must-read for anyone who is interested in distilling or the history of American culture. Well narrated! Lags a little in the legislative middle. Ending is not the strongest. You will finish having good summary level knowledge of the origins and people who developed the industry. This book will slay a few myths and defuse some marketing hype. It is well worth a listen. I Absolutely LOVE This Book! And I don't drink!!! 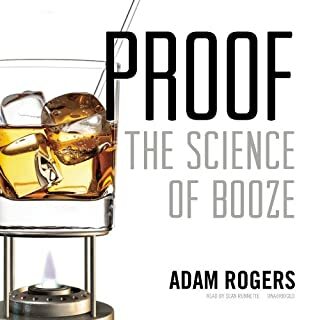 I got this book because my husband is a spirits guy and a good friend is a chemist and the two of them convinced me of the mystique and attraction of the drink. I just couldn't experience it myself because I don't like spirits, but I was intrigued enough to listen to this book. Firstly, the narrator - he's absolutely a dream narrator. His voice is pleasant enough that sometimes I'll play this book for myself while I sleep. But, he can also nuance voices and inflections in a natural way to convey different personalities and the humor of the writing. What a gem! Secondly, the writing is fascinating. Mitenbuler doesn't buy into any the of the hype around the rock-star bourbons and their hype but he's no critic. He simply exposes the industry and the marketing machinations behind them that separate some brands from their popularity and the actual integrity of their processes and ingredients and qualities. It was so enlightening. I listened to a book titled "Get Well Soon" recently and it was so sophomoric and written like a blogger vs. a historian's or journalistic style like this book is written that I just kept longing to go back to this book, just to have the pleasure of listening to exquisite writing.